U.S. Reps. Mike Conaway, R-Midland, and John Culberson, R-Houston, last year purchased stock in an Australian biotech firm that's now at the center of insider trader charges against one of their colleagues from New York, Republican U.S. Rep. Chris Collins. Culberson has long maintained his investment in Innate was prompted by media reports about the company and its efforts to treat multiple sclerosis, which he reiterated in a statement he issued after parting ways with the stock. After news of the Collins indictment broke, Conaway's office provided a statement that, like Culberson's, cited MS treatment as his reason for investing in Innate. "Mr. Conaway initially invested in Innate Immunotheraputics because it was a promising breakthrough to treat Multiple Sclerosis (MS), which impacts a close friend of his," Conaway spokeswoman Emily Hytha said. "Strict ethics laws and reporting requirements regulate investments made by Members of Congress, which Mr. Conaway follows without exception." 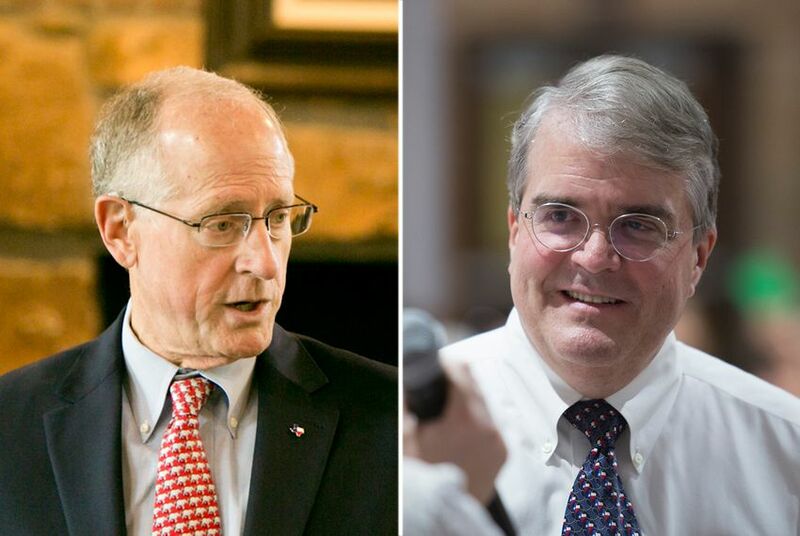 The fallout from the indictment could be more of a political problem for Culberson, who is among national Democrats’ top three targets in Texas this fall. The Democratic Congressional Campaign Committee singled out Culberson in a statement after the charges against Collins were revealed, and his opponent, Lizzie Pannill Fletcher, said in her own statement that the indictment "raises serious questions." Conaway’s opponents are Democrat Jennie Lou Leeder and Libertarian Rhett Rosenquest Smith.